Vienna’s 450 glamorous annual balls might lead you to believe that it’s a hub of tradition and conservatism. A closer look at Austria’s capital city, however, reveals a much different picture: one of modernism, excitement, and energy! Most of Vienna’s best-known landmarks are concentrated within the small old town. 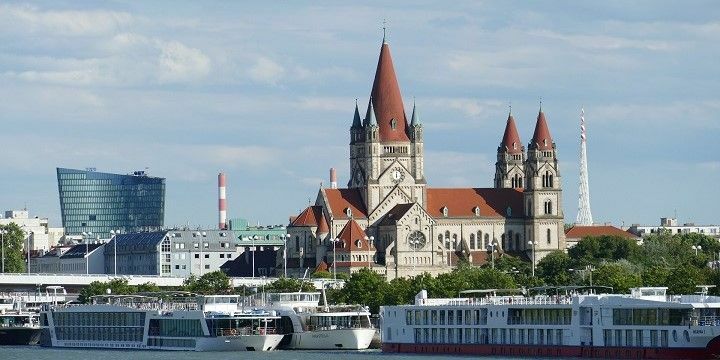 St. Stephen’s Cathedral, for example, is one of Vienna’s most famous symbols, and offers visitors an incredible view over the city from its 137-meter-high viewing platform at the top of its South Tower. On some evenings throughout the week, The North Tower is also open to visitors (check before you visit), and is a great spot to get a unique view of the sunset over the capital. A few steps from the cathedral lies the Imperial Palace Hofburg — one of the biggest palace complexes in the world — where you can discover what it was like to live as the famous Austrian Empress, Sisi. If you are in the mood for some art, head to the Museum Quarter, which is home to around 60 museums and galleries, as well as beautifully historic, and impressively modern, architecture. Take a break at the famous Naschmarkt — Vienna’s most popular market — where you’ll find more than 100 food kiosks and restaurants. After re-energizing with a tasty meal, head around the corner to Vienna’s biggest shopping street, Mariahilferstraße. 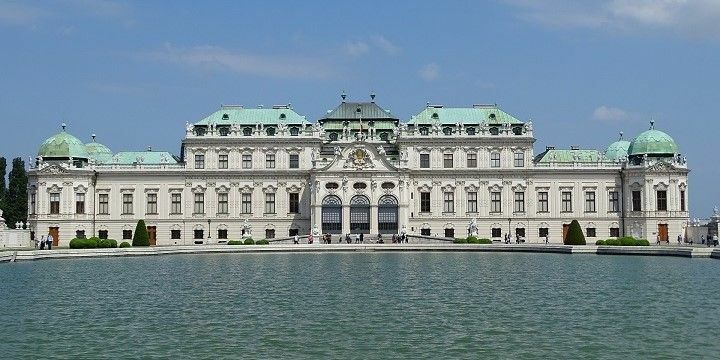 Belvedere Palace actually consists of two separate castles, which are connected by a beautiful garden full of sculptures and fountains. Aside from being an impressive baroque castle, it's also home to one of Austria's most valuable art collections! Belvedere Palace consists of two separate castles. Finally, don’t miss out on the enormous Schönbrunn Palace, just 30 minutes from the Old Town. The baroque palace is one of the most-visited sites in Austria. Napoleon also used this impressive building as his headquarters during his occupation of Vienna in the early 18th century. The huge palace gardens feature the world’s oldest zoo, Tiergarten Schönbrunn. If NextStop24 helped you to choose your next travel destination, we'd be very grateful if you’d search for your accommodation and things to do in Vienna through these links. They're affiliate links, which means that we will receive a small commission for every booking made through them. There are no extra costs for you; you'll simply be helping to keep NextStop24 running. Thanks! Schönbrunn castle + zoo Dont Drive with the horse carriages ! You should deffinitley visit the christmass markets in Vienna. Its very rich and beautiful. Lots of food and drinks and souveniers. You should try out somw punch and othwr hot drinks! Beautiful city with amazing architecture! So many great brunch spots too! Seeing the Klimt paintings Be sure to research where does good coffee!